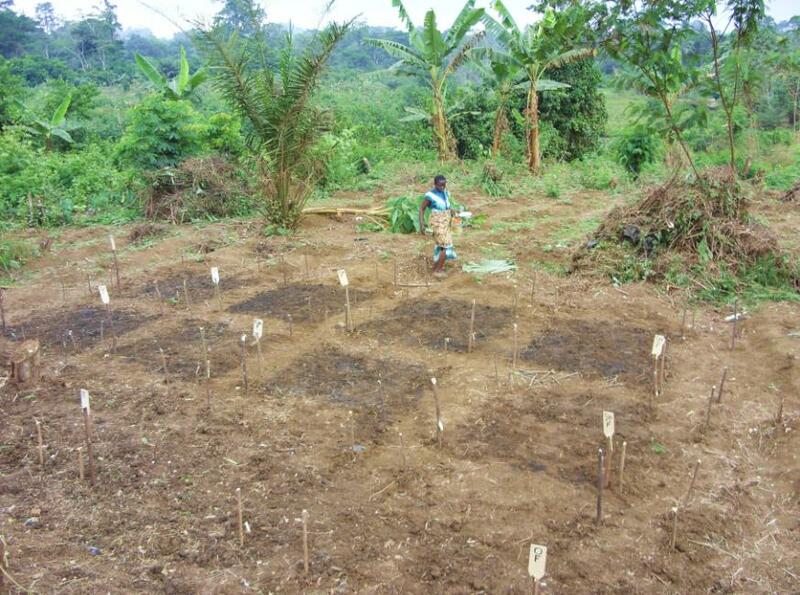 Many field studies in the tropics carried out by academic researchers have shown that biochar improves soil productivity. Biochar Fund’s research did more. 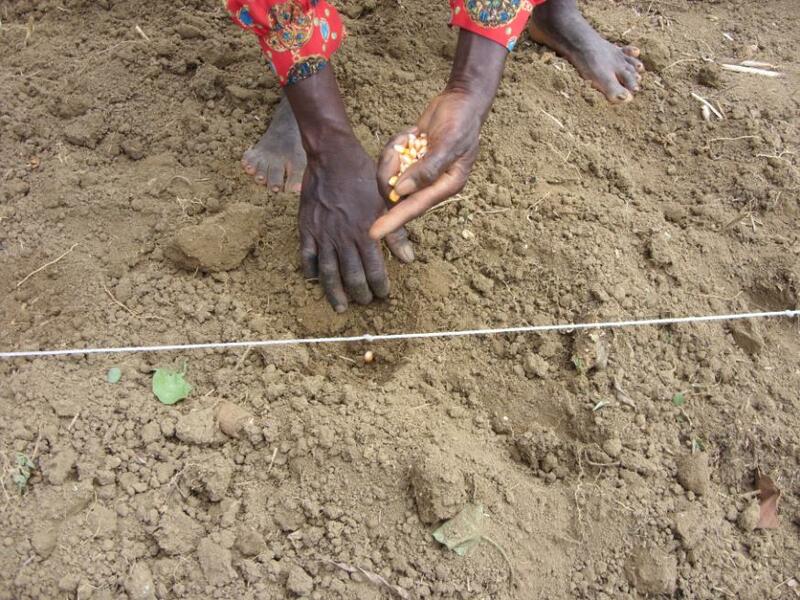 It showed that poor farmers typically making less than $300 a year from their crops were able to improve their own yields using simple techniques both for making the char and adding it to the soil. Average production of maize from this area of Cameroon is about 1.7 tonnes per hectare compared to about 7 to 9 tonnes in the EU or US. If the initial results are replicated elsewhere, the impact of biochar could see yields increase by 40% above what would otherwise be obtained. The biochar was made in a low-technology kiln using agricultural wastes from the previous harvest and some wood cut back from trees surrounding the cultivated areas. The farmers sowed seed densely and harvested the corn when it was ready. They weighed the whole plant, including roots, the cobs, and also the grain itself. Some of the groups did not produce usable results because the grain was stolen (‘because it looked so good’ report the affected farmers) or because of pest damage or because of misunderstandings about how to apply the methodology. But 41 of the 75 test plots yielded data on biomass weight and slightly fewer on grain yield. a) Adding biochar at the rate of 10 or 20 tonnes a hectare typically added about 85% to the weight of grain produced compared to the adjacent plot with no fertiliser. b) This is about the same increase as would be gained by adding both organic and artificial fertiliser to the unfertilised soil. So biochar is as effective at increasing yields as heavy application of fertiliser. c) If both biochar and two types of fertiliser are added, the yield rises to an average of about 140% of the level without any additions. Biochar therefore substantially increases the food production of land above what would be achieved either with or without added fertiliser. d) It seems as though the most striking results are found on the poorer soils. These results are preliminary but they show the powerful benefits that biochar might bring to food availability in many tropical soils. Getting heavy doses of char into the soil will be demanding but the great advantage of biochar may be that it only needs to be applied once and its effects persist for decades. 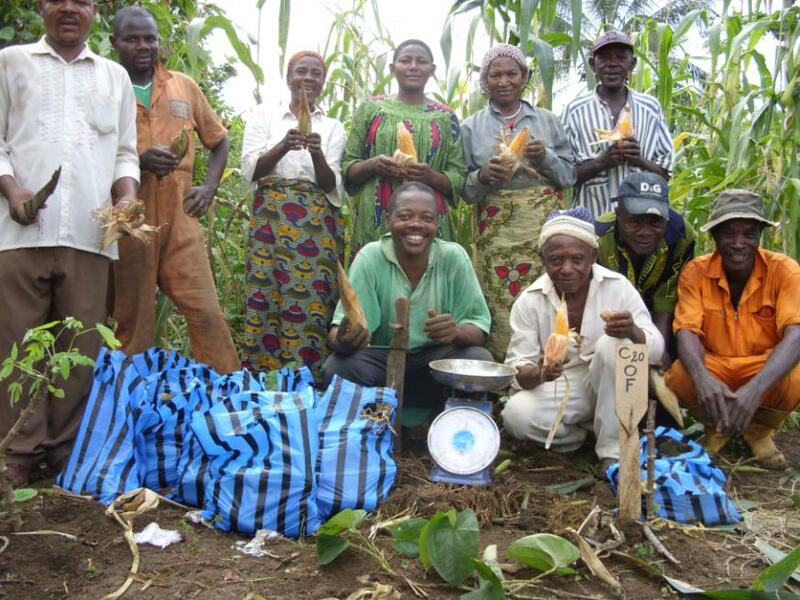 The results from the second maize sowing of the year (to be harvested in the next few weeks) will show whether the yields improvements continue. Applied at 10 tonnes a hectare, biochar added about 4.5 tonnes a hectare to the total biomass, excluding the food grains, of unfertilised land. One tonne of organic matter will typically produce about one third weight of biochar – say 1.5 tonnes a hectare. So the weight of biochar added to the soil (10 tonnes/ha) will be repaid in increased biomass production (not just food) within about 6-7 years. Therefore, if one seventh of the land has biochar added for seven years the net biomass availability by the end of this period will be higher, prospectively for ever if biochar permanently increases yields. There should therefore be very limited pressure to cut down forests to make biochar – biochar can be made from the incremental biomass produced on the land to which it has been applied. This conclusion would be even stronger if we took into account the fact that some areas, such as parts of Cameroon, can produce two crops a year. Payback would be twice as quick. 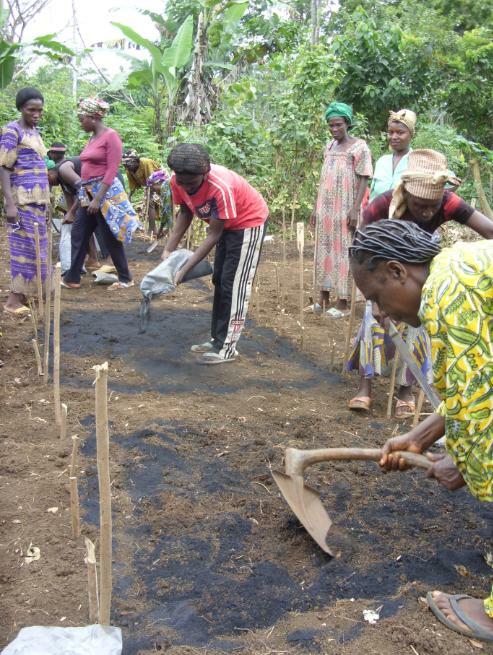 The most important result from this remarkable experiment in Cameroon may be that it lays to rest the worry that biochar will exacerbate deforestation. In fact, by increasing biomass production biochar should reduce the need to cut down trees for fuel. 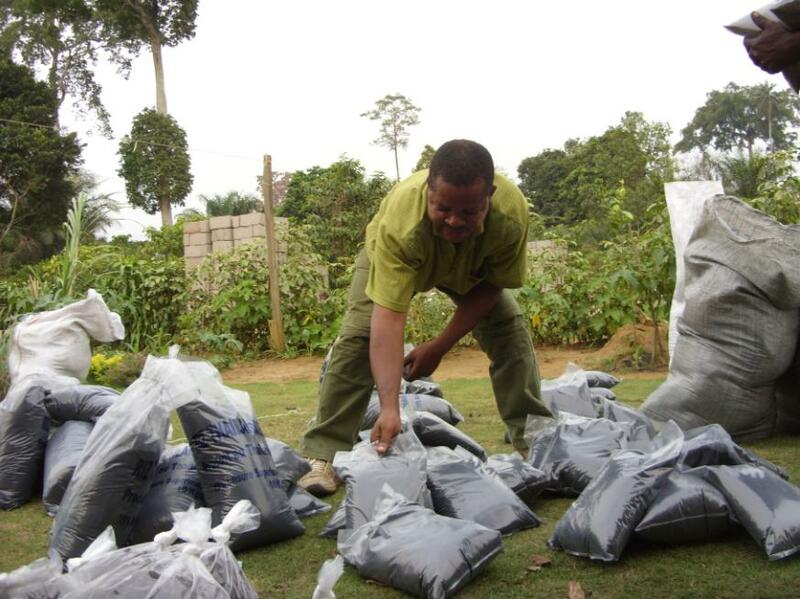 Bags of biochar being prepared for distribution. Farmers introduce biochar into the soil. A biochar test plot ready to receive maize seeds. 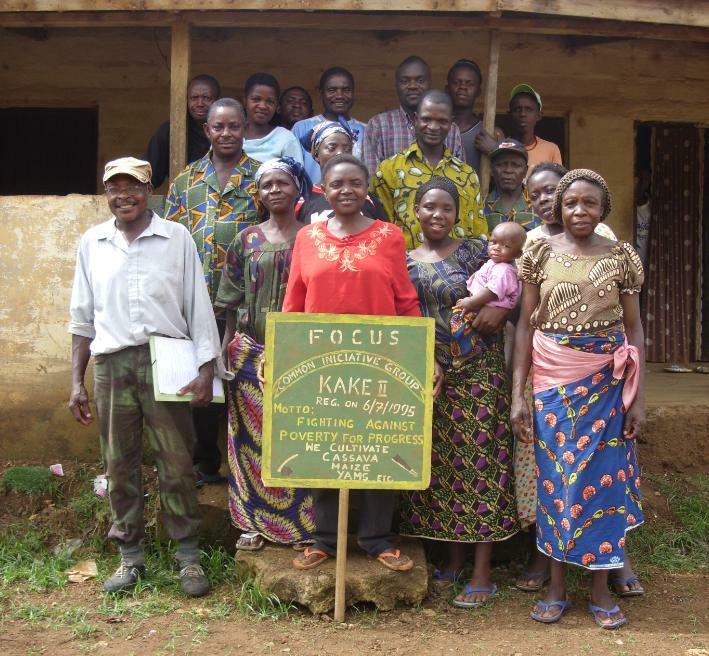 Focus Farmers, a participating group in the village of Kake. Planting maize on biochar test plots. 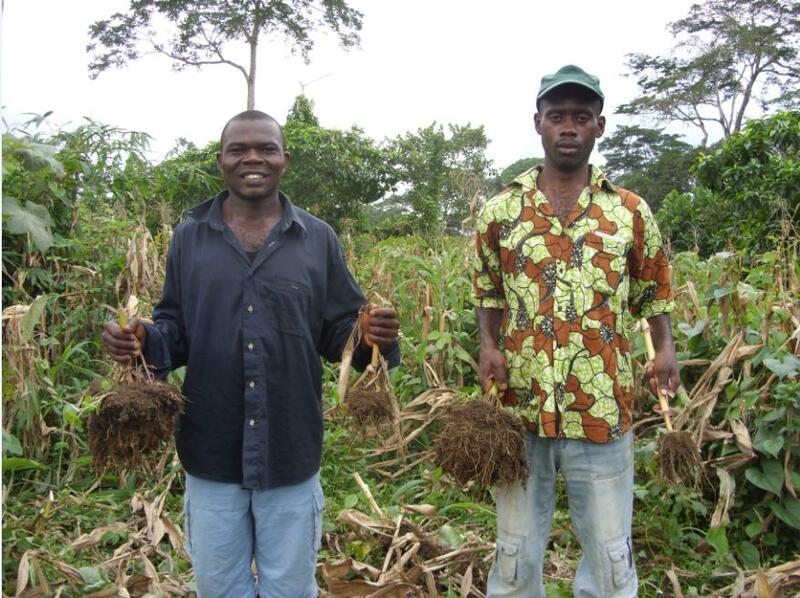 Farmers in Teke show the difference between the roots of a maize plant grown in biochar (left) and the roots of the same plant grown in bare soil. A group of farmers shows its harvest from the biochar plot.